You work for a large Wall Street bank. You have solid information that the bank you work for is defrauding investors. You approach the Securities and Exchange Commission and report the fraud. You are now a whistleblower. And under SEC rules, if because of your report, the SEC recovers $1 billion from the bank, you are entitled to ten to thirty percent of the recovery. Let’s say you did everything right, according to the SEC and they award you the top amount – thirty percent. Under current SEC rules, that means you are entitled to $300 million as a bounty. The securities industry is now pushing to limit the size of SEC whistleblower awards. Under a proposed SEC rule, the SEC can reduce the size of an award merely because it is too large. 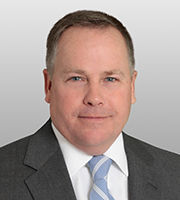 Gerald Hodgkins is a partner at Covington & Burling. Before joining the firm earlier this year, he spent twenty years at the SEC’s Enforcement Division. And for the last five of those years, he sat on an SEC claims review panel that reviewed SEC whistleblower awards. Hodgkins says that the biggest area of activity in the SEC’s whistleblower program is the bounty program. “Dodd-Frank basically said that individuals that bring original information to the SEC can receive a bounty of ten to thirty percent of the monies recovered by the SEC in what they call a covered action – an action that qualifies for a whistleblower award,” Hodgkins told Corporate Crime Reporter in an interview last week. How many whistleblower reports have there been to the SEC? How many of those tips have resulted in awards so far? More than 22,000 tips and only 59 awards. What does that say about the program? Are you convinced that if the SEC had more resources that it could pursue more of these whistleblower cases? Are you convinced that but for this program, many of these 59 cases would not have been pursued? The SEC is proposing changes to the program. What are the changes? Hodgkins says that under current rules, the SEC’s whistleblower office and its claims review staff makes a determination of whether the award will be ten percent or thirty percent or somewhere in between. Thousands of people are weighing in on this. Who is weighing in and what are they saying? What does the securities industry say? What about Congressional proponents of the whistleblower program – like Senator Charles Grassley (R-Iowa). Has he weighed in? The Chamber of Commerce doesn’t agree with SIFMA on this.